With the Town of Saguache Election just days away on Tuesday, April 3, it’s time for a political roundup report. Tomorrow, March 31 there will be a Meet The Candidates event sponsored by the Saguache Chamber of Commerce at the Road & Bridge conference room starting at 2 p.m. The event gives candidates for Town Trustees, as well as the Mayor of Saguache an opportunity to describe their background, qualifications and reasons they are running for office. Saguache Today will be there to report on the event and share that information for voters who will not able to attend the forum. The Town Election will be held on Tuesday, April 3 from 7 a.m. – 7 p.m. at Saguache Town Hall. So, it’s time to Meet Your Candidates! According to Iris Garcia, the Saguache Town Clerk, who is charged with coordinating town elections, the following is the list of the candidates as they will appear on the ballot. First, up are the Town Trustee Candidates. The top five – out of seven – vote getters will fill the five (of 6!) open Trustee positions. According to the Town of Saguache website, some of those terms are for two years, and some are for four years. Officers can serve a total eight consecutive years. Municipal elections are non-partisan. 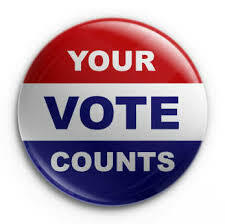 Saguache Today will be reporting the April 3 elections results as they become available from the Town Clerk. For additional information about the Town of Saguache elections, call the Town Clerk’s Office, 719-655-2232, from 8 a.m. to 4:30 p.m., Monday through Friday, or email townclerk@townofsaguache.org. The Saguache Town Hall is located at 504 San Juan Avenue. This entry was posted in Uncategorized and tagged Saguache, Saguache Colorado, Saguache County, Saguache events, Saguache information, Saguache news, Saguache Today, Saguache Town Election 2018, Saguache traffic, Saguache weather, SaguacheToday.com. Bookmark the permalink.